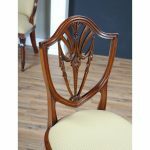 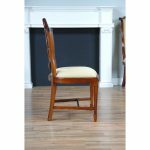 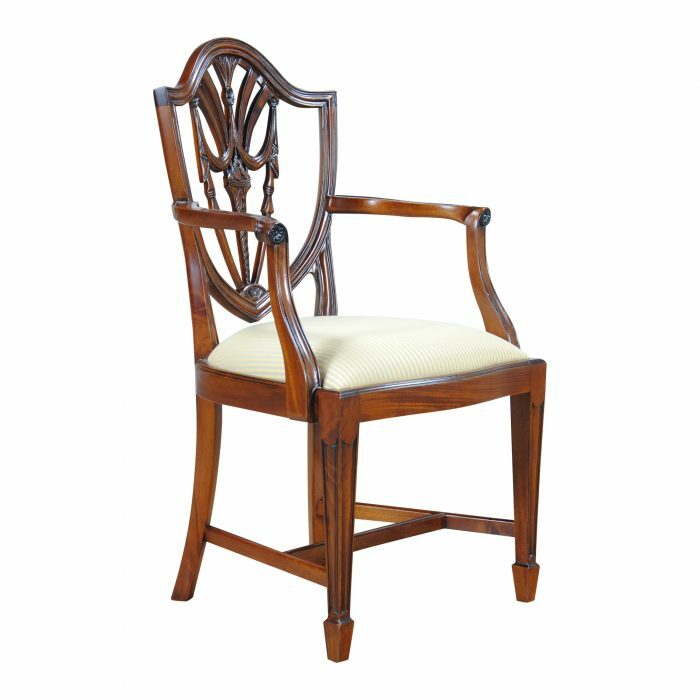 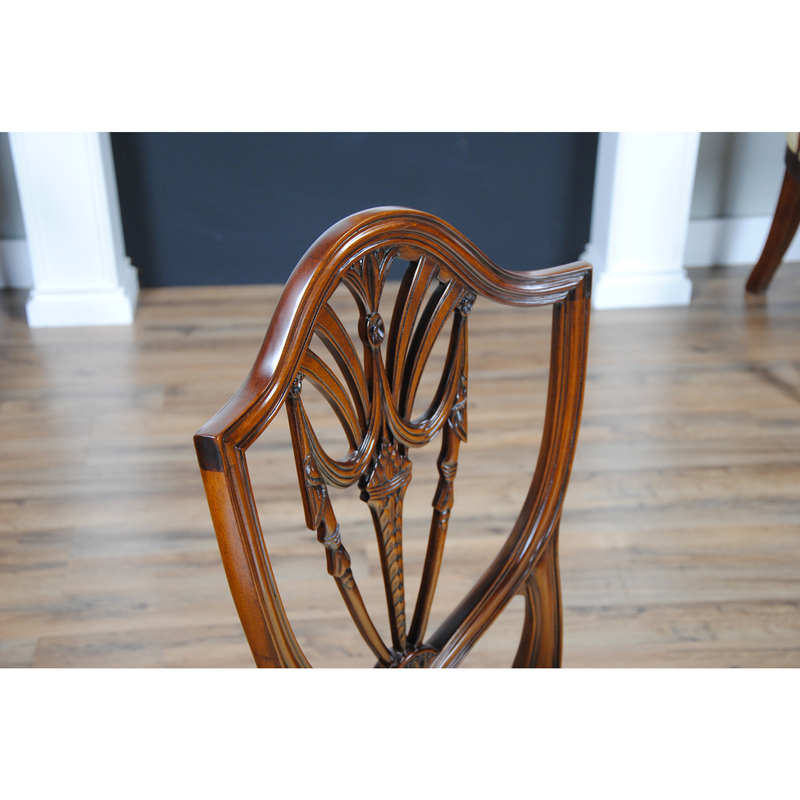 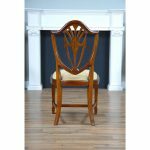 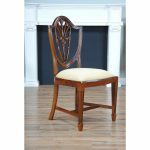 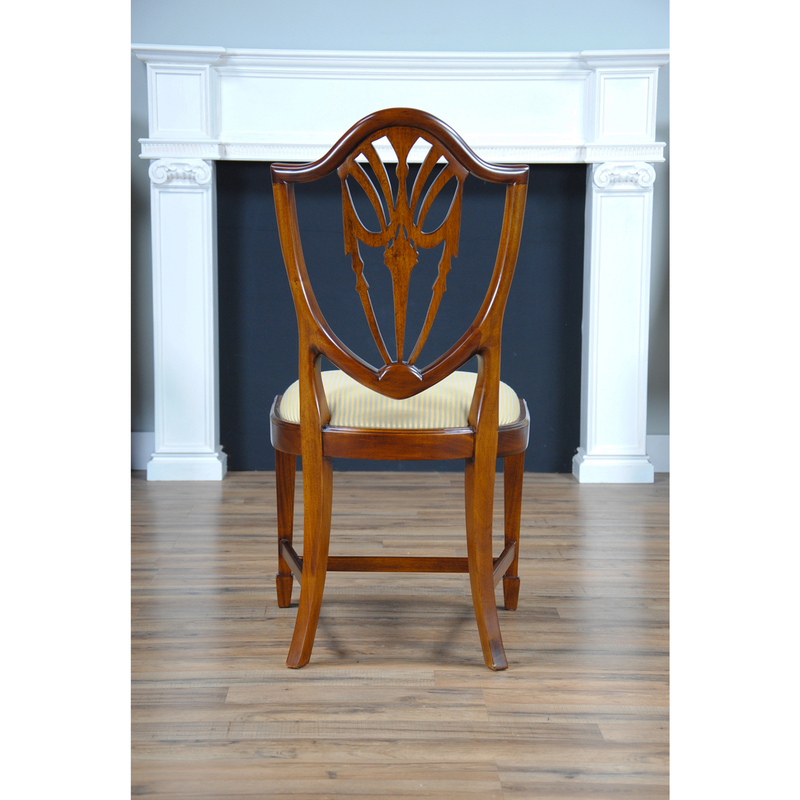 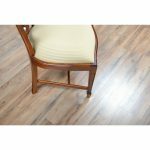 A perennial favorite the Drape Carved Shield Back Side Chair features an arched crest rail which rests over top a drape carved back splat and sharply curved side rails to form the classic shield shape found in many Federal style chairs. 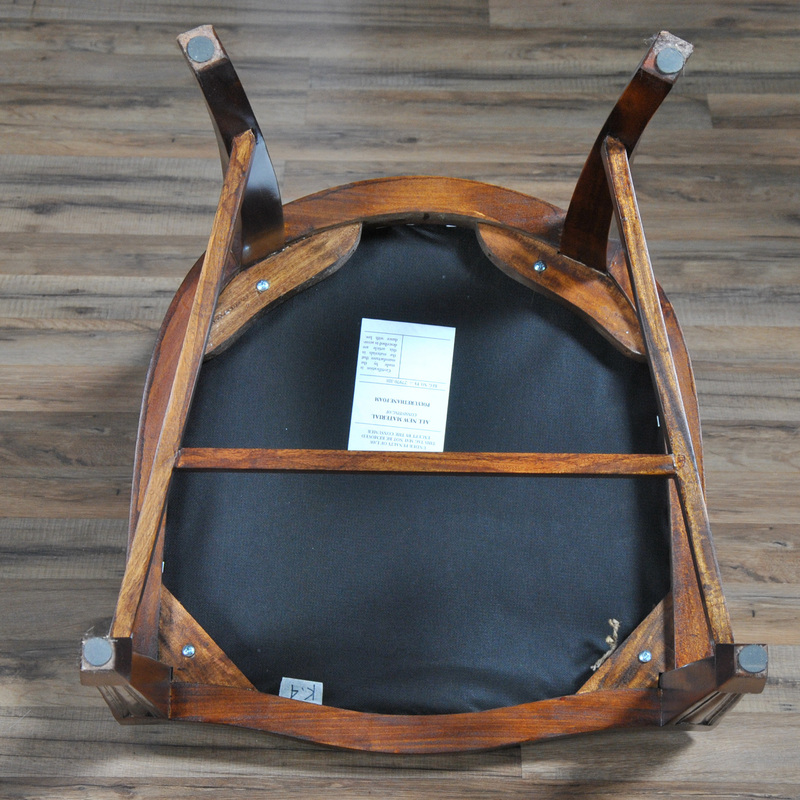 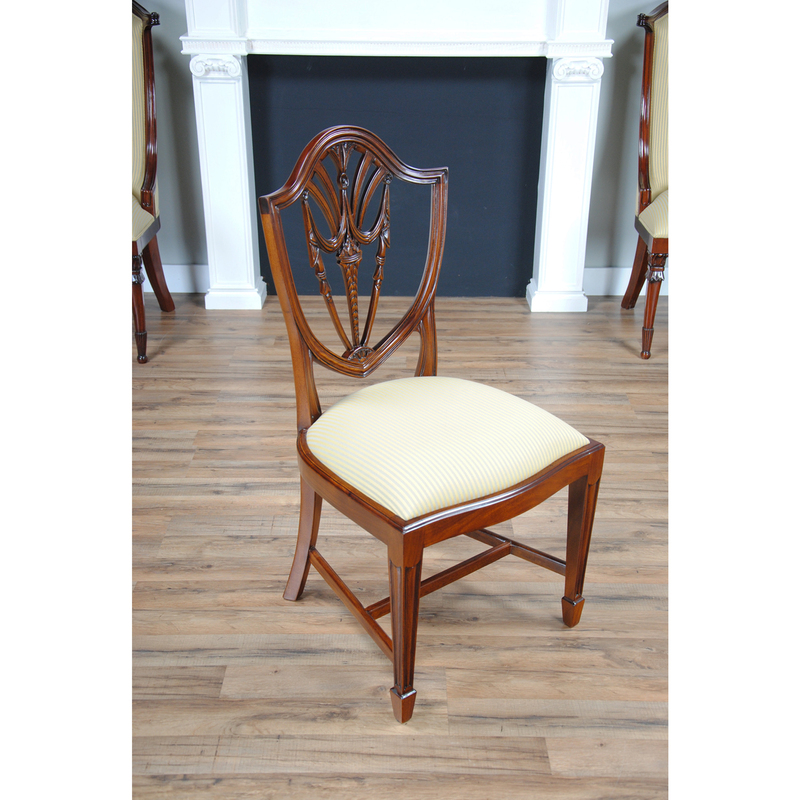 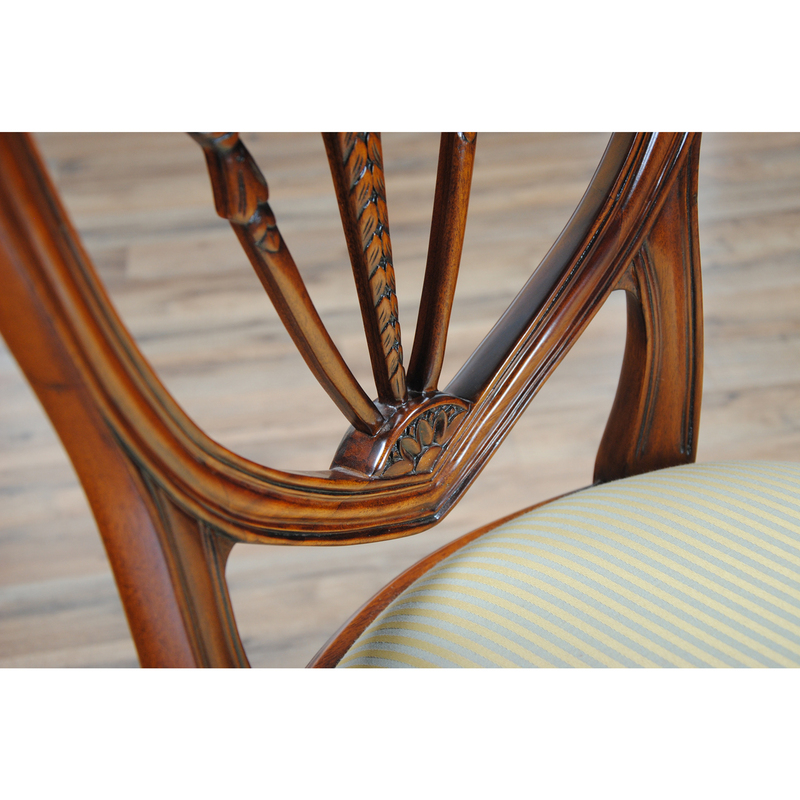 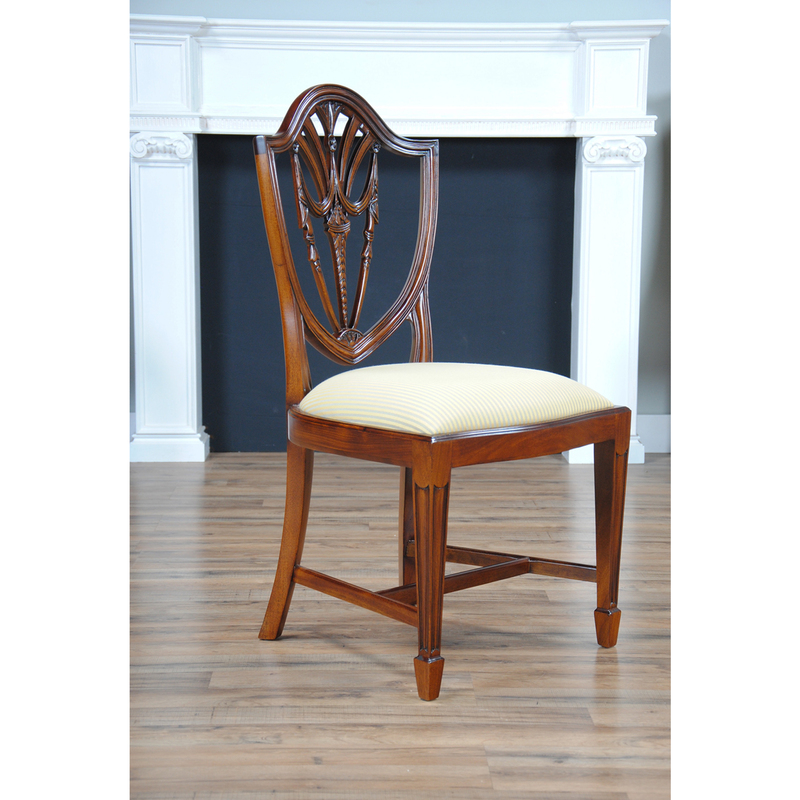 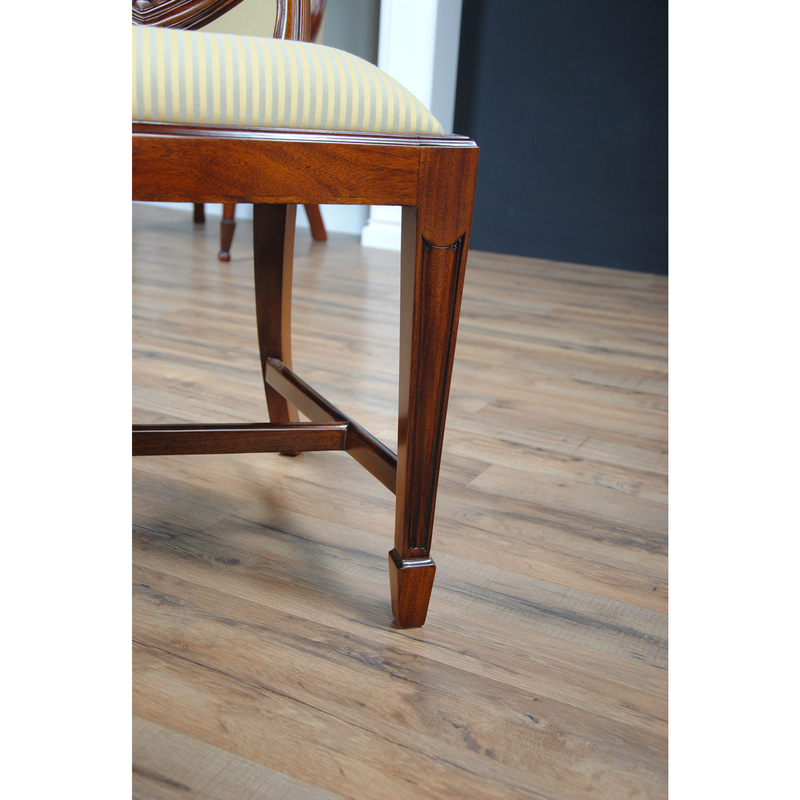 The serpentine shaped chair seat frame echoes the shape of the crest rail while reeded and tapered front legs culminate in an elegant spade foot. 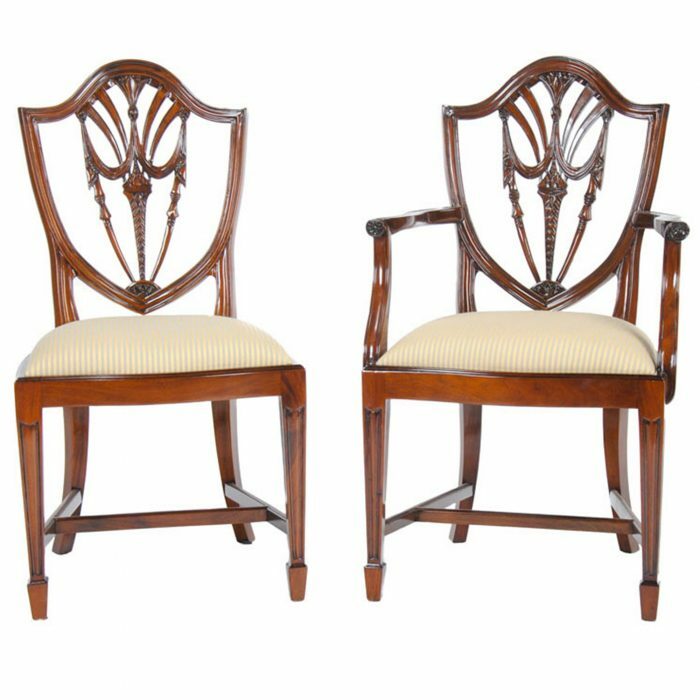 All of the bells and whistles you could ask for in a traditional design that will never go out of style. 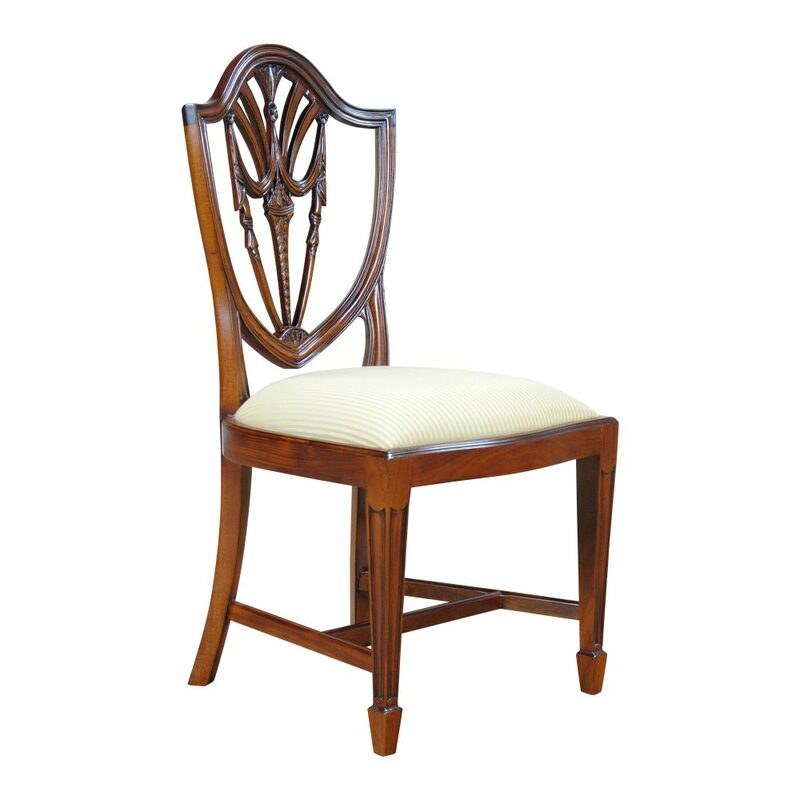 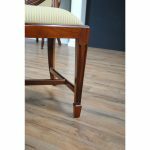 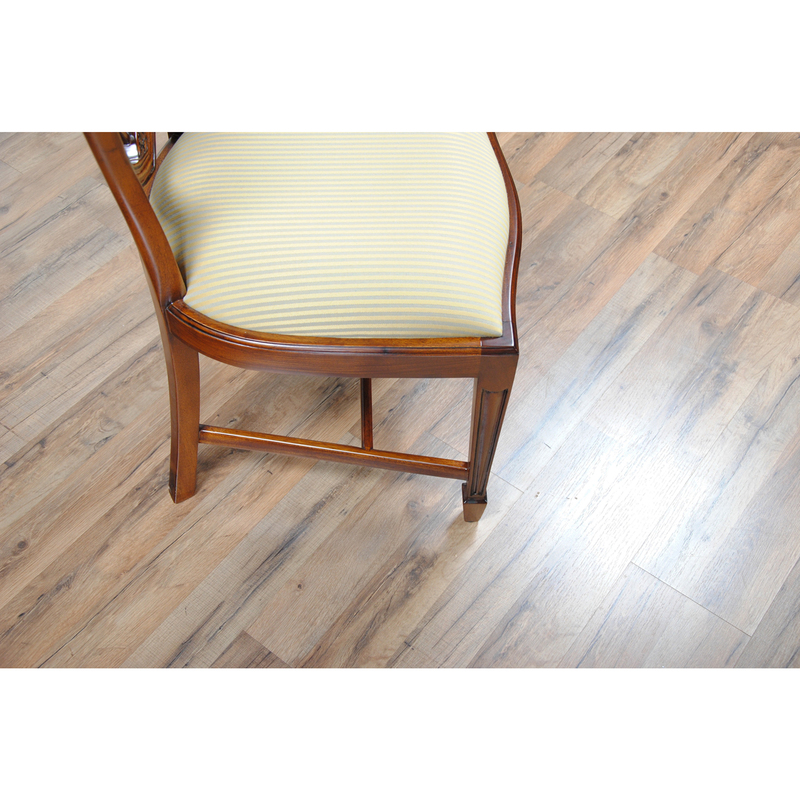 Simple fabric changes allow you to customize the Drape Carved Shield Back Side Chair at any time.